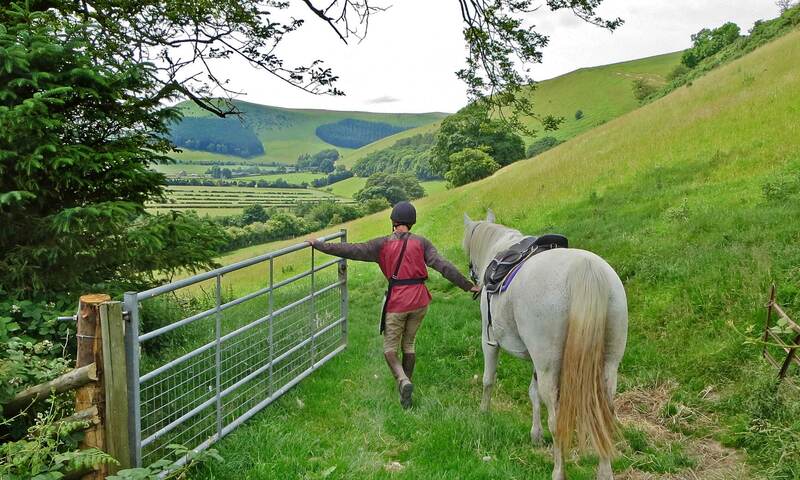 See the whole of Mid Wales on our flagship eight day trail ride. We all look forward to welcoming you on the Catali Trail Ride . . . This is an eight day trail ride staying overnight at varied and interesting accommodations. 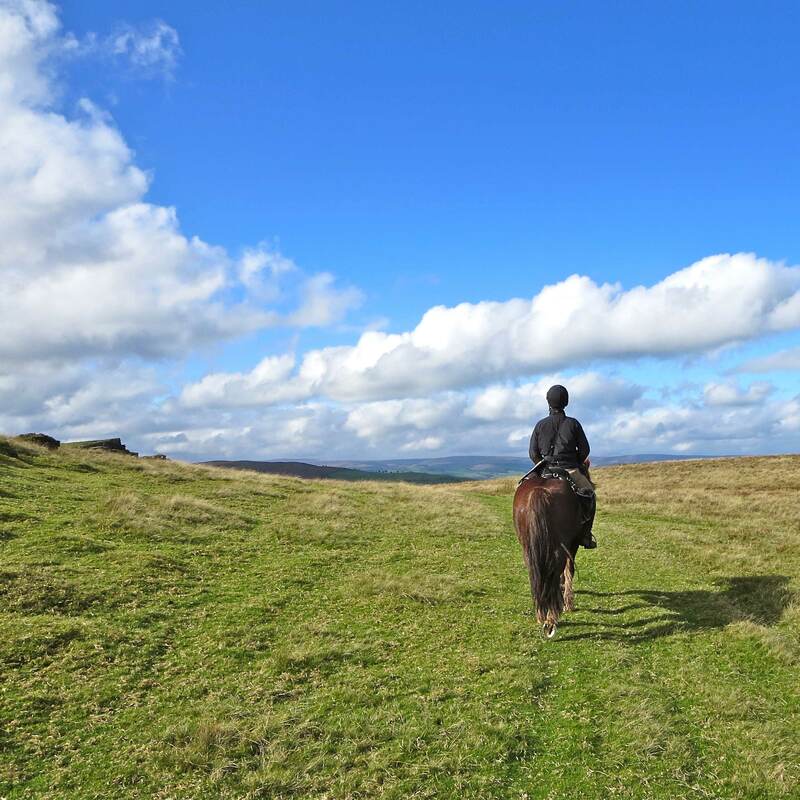 This is our flagship trail ride and explores the best trail riding country in the UK. It heads all the way up to the Teme Valley on the Shropshire border and then over to the Ithon Valley in remote Mid Wales with an overnight stay at Abbeycwmhir. From here it heads all the way down to Builth Wells, the Eppynt and the Wye Valley. It is eight days in the saddle of 16-18 miles per day. 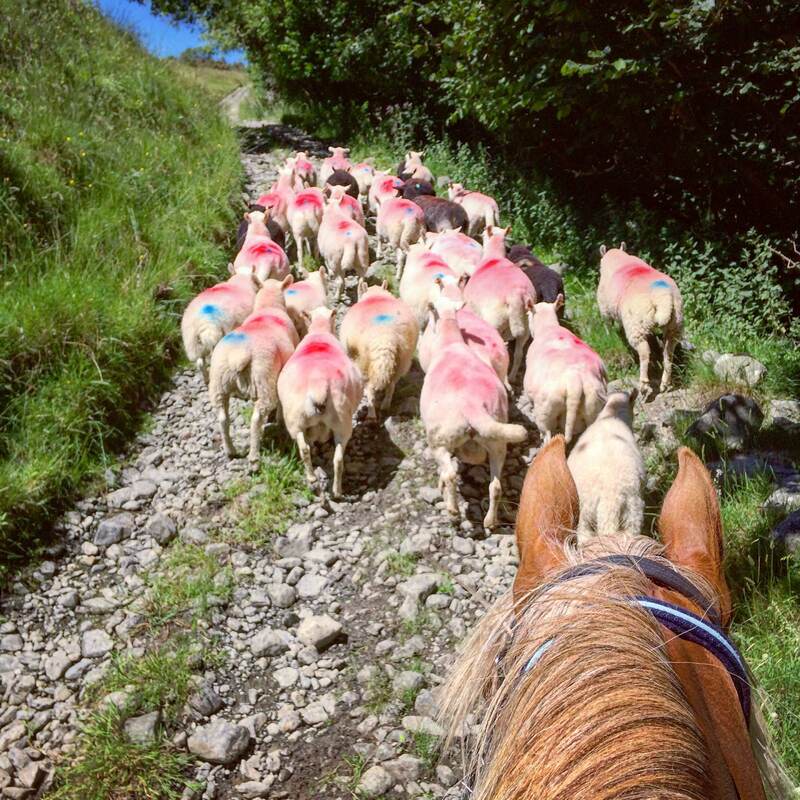 The ride to Old Radnor from Freerein could take you across the moors to the Royal Oak for lunch – but this would mean moving swiftly with plenty of trots. Otherwise bring packed lunches and ride via Glascwm Hill and Black Yat to Old Radnor. Here you stay the night at the Harp Inn/Bracken Ridge B&B. An interesting and varied day first over Bache Hill and then the Radnor Fforest. The route then takes you via Monaughty and onto parts of Glyndwrs Way eventually leading to Knucklas and your night’s stop at Belmont Cottages B&B or the Castle Inn. Your evening meal is at the Castle Inn either way, 2 minutes from Belmont Cottages. Your horses stay the night a 10 minute walk away at a local farm. From here you head to Penybont (a possible lunch stop) then climb onto the westward edge of the Radnor Forest, along this and down to Llanfihangle Nant Melan. Here you stay over at the Red Lion Inn/Fforest Inn. The Eppynt and Wye Valley . . .
From the Red Lion/Fforest Inn ride to Hundred House for lunch then more amazing hill over Aberedw and night in the market town of Builth Wells. Day seven sees you traverse the eastern edge of the Eppynt range to stay at Felin Fach and the Old Mill. Finally cross the Wye Valley and trot over the Begwns to finish at Freerein HQ. To Belmont Cottages at Knucklas. To Brandy House at Felindre. To Laurel Bank at Abbeycwmhir. To Red Lion Inn/Fforest Inn. To Builth Wells staying at either Bronwye or Llanelwedd Arms. To the old Mill, Felin Fach. An amazing ride and a massive achievement named after two Freereiners who fist rode the route back in 2013. Our favourite kind of traffic!